Knowing that I sometimes rush into things and generally can become a bit over-engaged (worst case ruining the balance in a previously well working group), I was quite anxious after suggesting a pub evening for EAST just a month after finding the group/network. Luckily it turned out just fine with, once again, lots of ideas and inspiration to bring home. Anyway, the evening started at six o'clock and ended (at least for me) four hours later. All and all we were 8 or 9 people and topics ranged from molecular gastronomy and parenthood to a wide range of software testing related subjects. Also quite a few comments were made regarding the different choices in beer (or in the single case of not choosing beer). As usual (always?) the majority of the participants were from Secra. I intend to dig down a bit into some of the subjects we talked about when writing these summaries but I really need to get a notebook and make sure to bring it cause for some reason I don't remember too much about the specifics from yesterday (only two beers so shouldn't be that... I hope). I'm pretty sure though I'll go "ohh, yes, now I remember" the day I really need to. Anyway, after the initial "who are you, where do you work, what do you do" questions, I and a former Ericsson colleague talked a bit about the problems we faced testing a humongous product, with huge simulators, stone age code base and no clear end user. We compared it a little bit with testing other products and also touched upon the automated testing subject both in this particular product as well as in the other companies represented. Don't have many conclusions from this but it was interesting laying out many of the problems. Another subject we talked about was scrum and mainly the scrum master role. In one company the role were rotated and kept very light weight compared to a very team leader like role in another (with a third in between). We discussed the benefits and problems with rotating and, at least my, conclusion was that as soon as the scrum master role stops being very light weight it's hard to rotate and when the risk of making it a heavy weight team leader role is imminent. You could also turn it the other way around saying as long as the role is rotated the risk of making if heavy weight is less likely. We also talked about a company where scrum master was a full time job and one scrum master could be responsible for one to three teams depending on skill. The idea was interesting as in weird and something I hope never will happen at my own work. Finally we talked about the different approaches to being scrum master where some (not necessarily the participants) considered it a prestige role while others considered it an interruption in the daily work and also how it differed being scrum master as a consultant compared to an employee at the company. To wrap up the subjects, we talked quite a lot about the responsibility for test, the interesting path of learning programming and testing quite simultaneous so you're neither a top grade programmer nor a top grade tester but a top grade "something in between", we talked about the danger when all responsibility for testing is put on testers (especially in programmer heavy organizations), we talked about how cognitive science is a valuable skill to all testers and how students in cognitive science with computer skills were highly sought after as software testers, especially by consultant firms. Well we talked about tons of other stuff (respect for test, lack of testing skill for newly graduated students, problems with experienced testers with very little testing knowledge etc. etc. etc. etc. etc.) but let's stop here for now. Finally Bishop's Arms were a great place; quiet, spacious and great selection of beer. Credit to Johan Jonasson for suggesting Bishop's and to Frida Brantvall for discarding Johan's other suggestion. May be relevant to add that the level of noise apparently were a lot lower than usual thanks to the great weather (most people were sitting outside). I used Sabayon for the first time when version 5.4 (or 5.5 can't really remember which) was released. The intention back then was just to try it alongside my beloved openSuse. I soon after the installation realized I never booted up openSuse anymore and when I had to choose one of them to replace, Sabayon became my main dist. The things that really hit me back then was the beauty, the smoothness and the amazing out of the box experience. Later I found Crunchbang, fell in love again and soon replaced Sabayon. The main reasons for that was sheer speed, Openbox (or rather the Openbox implementation in Crunchbang), Debian as base, or more precisely: I finally got tired of Sulfur (graphical front-end to the package manager in Sabayon). Still, no Linux dist has ever "wow:ed" me as much, out of the box, as Sabayon 5 so it was with great expectations I decided to try the latest release, version 9, especially since I'd heard many positive comments about Rigo, the replacement for Sulfur. One final note, I decided to go with the Xfce edition this time to get some lightweight options for common tools and to save me from the heavy dependencies in Gnome and KDE. Of course this changes the experience in some cases. I decided to give the graphical installer a shot this time. The installer turned out to be fairly standard (Anaconda so maybe I shouldn't had expected anything else), it's stable, quite straight forward, asks the common questions and doesn't really excite you in any way. I have one thing I certainly dislike though: The first question you get is "what kind of storage do you want to install Sabayon to", soon after you get a question about "install system or only boot loader" after that you have to setup all you passwords, user name, host name etc. before, finally, you get to setup your exact hard drive config. I swear, every time I pressed next before that I just begged that it wouldn't say "Starting to install", meaning I would have wiped both my store partition and my current Crunchbang installation. To me, saving time (and my nerves) by setting up user info during the actual installation would have been a better choice... or at least put hard drive setup immediately after the "system or only boot loader" option. To end with something positive, the installer after all did its job. The actual file copying felt quick for the size of the system and I liked some of the comments in the presentation shown during the file copying, especially "Debian Stable? Pfft! OLD! ", also nice to be able to setup root user's pass. Summary: Nothing new or fancy (which I actually hoped for a bit) but smooth and solid. Boot up and general artwork just didn't feel as beautiful and exciting as it did in version 5, maybe I'm just harder to impress these days but to me it may be slicker but not as impressive. Apart from that all the positive things I loved in version 5 remained or was improved. It's really quick to boot, my notoriously problematic Wireless was handled perfectly as well as graphic card, web cam, sound and all other hardware. When it came to media mp3, mpeg4, flash, wmv etc. worked out of the box, heck it even handled the weird avi codec some of our old LAN movies use (which, in case unclear, most distros don't). To end all the positive critique it ran smooth, really smooth, especially considering some of the enabled effects. I only found a couple of problems. The major one was that LibreOffice crashed upon document loading (known bug, apparently present in Sabayon 8 as well) and the other was Midori crashed quite frequently. The two bugs were easy to get around but it still lowers the initial impression. Summary: With my personal preference in artwork I don't think it beats my old favorite Sabayon 5 but it's close! The only really problem I found was the two bugs I mentioned. One of the big changes in version 9 addressed one of my own concerns my first time around; the GUI for Entropy. The buggy, slow and annoying Sulfur was now changed to Rigo. Before installing I read conflicting reviews, one suggesting that Rigo was a ground breaking tool that will influence Ubuntu's, and other major distros', software center while the other suggested it was just another not mature enough front-end. After trying it myself I stand somewhere in the middle. I think there are stuff to learn from it but to me the search function is not good enough for a tool that lacks a browsing feature and it had some other quirks. However, it did a great job providing me with all essential info without cluttering the interface. It was also a lot snappier than Sulfur and finally on a comparable level as the general tools. Plus for different/innovative design and the general feeling, thumbs down for its lacking maturity and small quirks but then again, this is the first release for Rigo so expect a lot of improvements going forward! Summary: All and all, it's seems I won't ditch Sabayon for the lack of a decent package manager graphical front-end this time. Sabayon is easy, maybe not Linux Mint easy, but I guess at least openSuse easy. Media is there, hardware supports seems good and the only reason I find it a little less "beginner friendly" is that it's still a bit rough around the edges and I don't think you will survive without open the terminal every now and when. Also, in opposite to the major distros, like Ubuntu and Fedora, the community is a lot smaller making it a little harder to quickly find solutions to your problems. One thing I have to point out (and I expect this to be true to at least the Gnome version as well) is that it's smoother than for instance Mint. I would say anyone looking for a drama free distro that is actually decent in speed should take a serious look at Sabayon. Personally this one will stay and we'll see if it overtakes Crunchbang or not this time, at the moment I have not used it enough to really tell, but looks promising. Really solid distro! Just like the first time around I have this crazy feeling of "this is exactly what I want", only time can tell if that changes. I really recommend you give it a try if you want something really easy but still powerful. Sabayon 9 is definitely not going to disappoint you! After reading this inspiring blog post (about an, probably even more, inspiring keynote by Tobbe Ryber) and long been fascinated by the 101 goals in 1001 days concept, I got the idea of listing the things I want to do to become a more proficient software tester. You can find the current result in the page listing (skill development list). The idea is to continuously improve the list so any comments on the items are very appreciated. Also, in case you've done something similar, I would really love if you send me a link in the comments section. Anyway, the list is (currently) divided into 6 sections. Knowledge lists things that would help me improve general knowledge about software testing (theory). I've not listed common stuff I more or less do daily in this section, like "watch presentations" or "read testing articles". Since I have a long history of "reading stuff that I've then not put into practice" I've added a Practice section. The idea is maily to remind me that learning stuff is fun but the real value is often in actually doing them. Something I've started to value a lot recently is Social Networking. I found a lot of inspiration in the discussions during my first EAST meetup and I'm looking forward to continue meeting up with other people interested in software testing, especially people not working for the same company as I am. As a former public speaker and recurring educational writer I've realized teaching is one of the best ways, at least for me personally, to really make things stick. I also hope I can give something back to a testing community that has already helped me a lot. So the section Spread Knowledge is about stuff I can do to others that also helps me excel. Finally there's the sections Other (simply stuff that doesn't fit any of the other sections) and Continuous/Ambiguous which is stuff that, in one way or another, is hard to really set checkpoints for. Details about these areas will instead end up as individual blog posts. So what's the purpose with this list? To keep me focused! To make sure I don't end up in the situation I once was where testing didn't feel interesting and exciting. I guess I'll have to evaluate the usefulness in 1001 days. ... regarding 1001 days, before someone corrects me, this list does not contain 101 items, there's no time limit and some of the items are ambiguous thus making this far from a 101 items in 1001 days kind of thing, it's only inspired by it. I tried to figure out if CV or resume was the correct word to use for the document I will talk about. My five minute google research pointed towards resume but it didn't seem to be any general agreement on this. Anyway, when I talk about resume in this post I refer to a 1-2 pages long personal summary you generally send to a potential employer. First things first. What does these words mean? Details - All your content viewed from a general perspective (without context): "what is generally considered most important", "what order would be logical to sort this information in" etc. Profile - The collective picture you want the reader to get, for example: "A self-reliant nurse who takes responsibility in creating a good working environment". Person - The picture the reader actually gets of you when reading your resume. This of course varies from reader to reader, for instance, a person trying to communicate the profile described above might by one person be interpreted as "A competent nurse I can put my trust in" while someone else might think "Naive, inexperienced person who oversimplifies this job". So why is this important? My hypothesis is most of us think almost exclusively from a Details perspective, simply because it's the easiest. Easiest since everything can be handled isolated with no regard to how it fits with everything else (when sorting work experience you can for instance ignore you personality or language skills). This also means you can set up general rules that are easy to follow and that's exactly what I think too many resume guides do. Still, why is this a problem? Well, Details are easy to handle as a writer but complex as a reader. Complex since the reader wants to find "the essence" and he/she will simplify, generalize, try to find patterns etc. to get a collective picture of who you are (Person). If you haven't thought about this collective picture (Profile) there is a great risk you either communicate the wrong picture (which will be to your disadvantage in an interview) or make it hard for the reader to get any collective picture (risk of being excluded). Serious critically thinking engineer with high level computer skills! I live, breath and think architecture, simply put, an awesome passionate architect! I'm a creative innovator who makes others perform better! I'm an experienced easy going electrician who gets things done! If you can't really find a profile, try adding or removing items (but don't remove a whole column!). Not only may the new/fewer words be easier to handle but sometimes this process (at least for me) makes me realize some things I first thought was important really weren't (and vice versa). When you have some kind of profile defined (notice it's still up for change) it's time to read your resume. Try to find things that just don't fit into your profile and either remove them or tone them down (... or reevaluate your profile). Also try to find things you should highlight more and think of gaps compared to your profile. Add stuff or update your profile accordingly. If it doesn't feel like your resume communicates the profile at all you need to make major adjustments to your resume, profile or both. Notice! Your profile is a lot more than just the "data"/content! Language, design, content order, font/font size, picture (in case you have one), title, length etc. all adds to what your resume communicates. For instance, using a basic template does not communicate creative, misspellings or grammar errors does not communicate careful/professional and not being open about your weaknesses does not communicate self confident. Apart from these extreme examples everything add to how you are perceived. When you feel your resume is good enough, from a profile point of view, try reading it as if you were someone else (or even better, let other people read it, preferably people with different experiences). Try thinking about how someone else would interpret what you are writing. I find this to be easier if I try to imagine that the resume is not mine but rather someone else, even better, someone I despise :) If you at this point feel that "I don't really sound serious" or "I sound really insecure" you probably have a problem you need to address. Same thing if the resume feels really "stiff" or "impersonal" (which I think is really common). If it isn't really part of your profile, try to loosen up. This might be achieved by changing really formal words or, sometimes, reverting back to an older copy (my experience is that we generally tend to make texts more and more formal/impersonal for every update we do). Keep reading and keep improving your resume as you develop, but like I said before, beware of becoming too formal as you review and update your resume, common mistake in my experience. The reader will generalize to be able to understand what you are communicating, make sure you take this into account. Choose your content and way of presenting this in a way that communicates a profile. Try reviewing your resume from the perspective of a potential employer, take prejudices into account. If you feel your resume sounds insecure, unserious or stiff, there's a great risk an employer will feel the same. Yesterday I attended my first EAST meetup here in Linköping, Sweden. I met some amazing people and left with loads of inspiration. But first things first: What is EAST? EAST is an open network for software testers in the Linköping area, focused on Context Driven Testing. The group's main forum is a LinkedIn group but they also have a Twitter account in case only knowing about the actual events is enough. Apart from the online presence the group arranges meetups roughly once a month with about 15-20 participants. 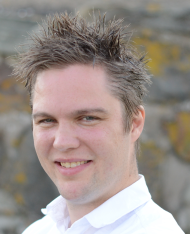 The group consists of well known testers like Johan Jonasson and Johan Åtting as well as newly graduates. Anyway, this post was about my own experiences so here we go. As soon as I entered I was warmly welcomed and discussions regarding what I and others did started. When everyone finally had arrived we ate together (ordered pizza, not more glamorous than that) and the discussions continued with subjects like values in testing, skills/education and how to spread the knowledge of what we do. After the food Hanna Germundsson presented her master thesis (or rather results so far) on testing in an agile environment, with a long interesting discussion as the result. Both the presentation and discussion gave me lots of valuable insights and thoughts on subjects like how to educate testers, if it's possible to measure test progress in a useful way and if it's possible to estimate required test time/effort. I also signed up to participate in an open discussion Hanna would arrange to use for her master thesis, something I'm really looking forward to. Finally the participants who attended Let's Test 2012 talked a bit about their experiences, memories and learned lessons from the conference. If I weren't enticed enough to attend Let's Test 2013 I definitely am now. Just keeping my fingers crossed that the education budget will allow it (not looking too promising, especially not if I, as I've already requested, get to attend RST with James Bach i November, but I'm sure it's possible to solve). Morgan also provided us with a great two minute summary of Rob Sabourin's Just in time testning presentation on Let's Test. To summarize; this was a great evening and today I felt really inspired when I left for work. I will definitely attend the next meetup if it doesn't conflict with something really important (with no more kids on the way I doubt that will happen). Hopefully I'll be able to bring a couple of curious colleagues with me as well.